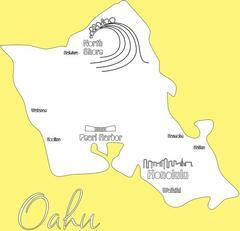 Beautiful 2-color, two piece 12" Oahu Destination Laser Cut on textured card stock. Pieces are separate so you can assemble flat or create a 3-D look with foam adhesives. Perfect for your Hawaiian or Tropical Scrapbook album!